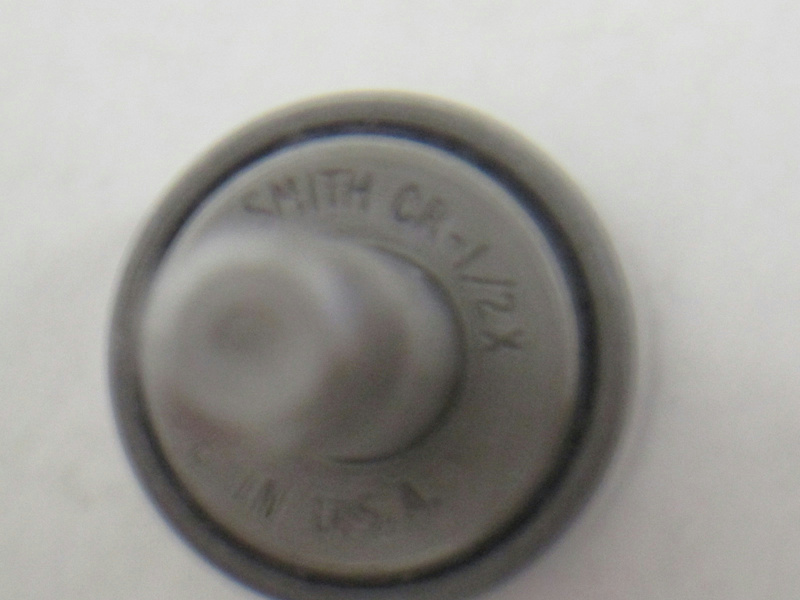 This listing is for a regular stud, sealed cam follower (needle roller) w/hex nut; *Brand/Name: Smith; *Model/Part #: CR-1/2X; *Description: Regular Stud, Sealed Cam Follower (Needle Roller)> with hex nut> may be missing some original packaging> appears to be unused old stock> SMITH Cam Followers are anti-friction needle roller bearings developed for use in cam or track roller applications. They were specifically designed and built to handle intermittent shock and heavy loads. 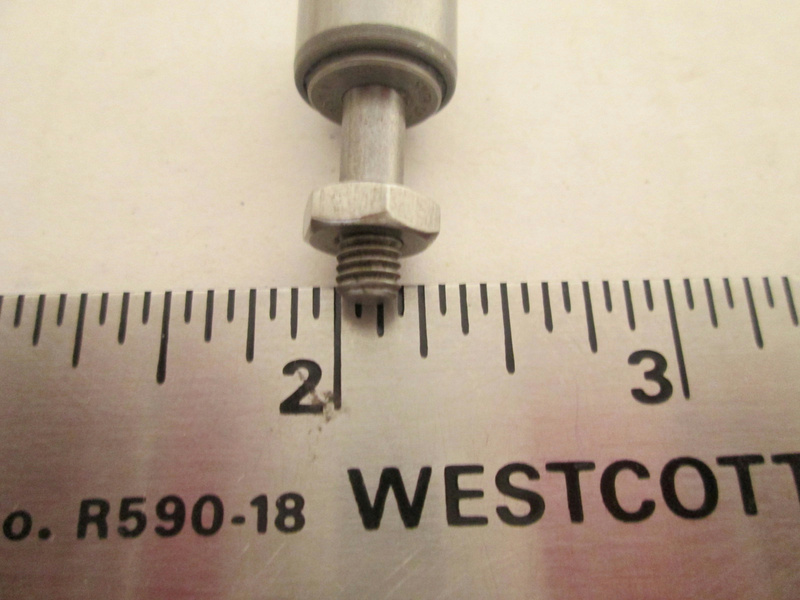 Full compliment (noncaged) needle bearings maximize the radial load carrying capability while the soft inner core of the stud gives these cam followers the ability to absorb extreme shock loads without fracturing. In addition to standard models, special bearings are manufactured to customer specification for unique applications. It is often found that the use of special bearings reduces machine costs and improves performance. We have the ability to economically manufacture custom bearings in small or large volumes. Please call us to discuss your special applications. Material Selection The common material selection for needle roller bearings are high-strength bearing steel (SAE 52100) or carburized low-carbon alloy steels. These materials give us an excellent combination of strength and economy and are more than sufficient for the majority of industrial applications. High-Temperature & Corrosive Applications: In extreme applications where bearings are being subjected to high-temperature or corrosive environments, alternative materials or special platings must be considered. Smith Bearing® manufactures needle roller bearings in a wide variety of high-temperature and corrosive resistant exotic alloys including 440-C stainless steel and M-50, M-2, M-10 tool steels. Corrosion resistant plating is effective when using bearings in corrosive environments. Non-bearing surfaces such as inner races and end washers are cadmium plated to resist corrosion. The outer races of the bearings are typically hardchrome plated to resist wear as well as corrosion. REGULAR STUD TYPE are recommended where loads and shock are moderate. Bearing capacity on the CR Series is limited by their moderately sized stud. See capacity ratings. HEAVY STUD TYPE are recommended for applications with high-loads and/or heavy shock and where deflection should be held to a minimum. Rollers and outer races are identical to the standard CR Series. YOKE TYPE have similar internal construction to the stud type CR Series except the inner race is made for shaft or clevis mounting. Generally, heavier loads can be supported by the yoke mounting arrangement, since stud deflection is removed from consideration. HEX-DRIVE SOCKET are favorable for most applications where the bearing is installed in a blind or threaded hole. 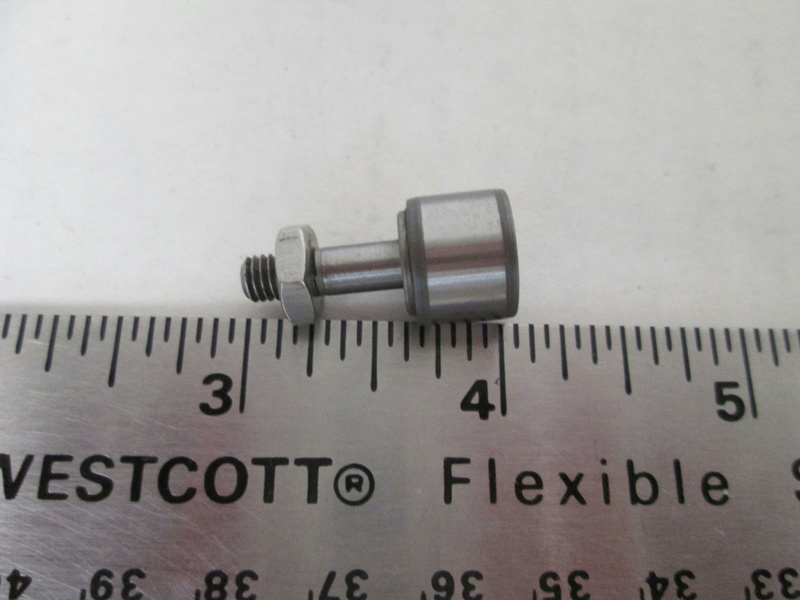 The Hex-drive allows for more secure installation and easier removal of the cam follower. SCREWDRIVER SLOT Screw-driver slot configuration is normally sufficient for most applications. Disclaimer The item offered here is in no way recommended or certified for any specific use. By purchasing this item you agree that the seller shall not be held responsible or liable for any injuries or damages, whether incidental or consequential, associated in any way with this item. By purchasing or bidding on this equipment you are indicating your acknowledgement of and agreement to the terms of this disclaimer. Standard shipping is our default shipping method. Under this option we generally use either (FedEx Ground) or (USPS) to ship your package. All shipping charges are calculated by FedEx or USPS and will be displayed at time of checkout. Purchaser is responsible for all shipping, import and brokerage fees assessed by your countrys customs center. Please note: Offer for free standard shipping is only valid in the continental United States (Excludes Alaska, Hawaii, Puerto Rico, Guam, Virgin Islands). Express Shipments we prefer to be notified by noon, but we can generally process them until 3:00pm (Arizona Time). After 4PM is often possible - but will carry an additional fee of $75.00 (as we have to deliver the parcel to a local terminal). Were happy to receive your order and will do whatever is necessary to get your order processed immediately. Freight Shipments If your order is over 150 pounds, or we deem it necessary to keep your order safe (in example, heavier refrigeration equipment), your order will ship on a pallet, using R&L Carriers, FedEx Freight, etc. We can also handle truckloads and partial shipments of heavier machinery. International Shipping We offer swift, economical shipping via USPS, DHL and FedEx. Please contact us if you would like an international shipping quote. Unless otherwise negotiated, international customers are always required to pay all applicable taxes, duties, and fees. USPS, UPS and FedEx generally bills these charges prior to delivery. Products may only be returned if defective. If you have any issues with your item, we must be notified within 14 days of delivery. If you need anything beyond that, let us know and we will try to work something out. since we rarely find issues with our equipment, problems are handled on an issue-to-issue basis. We work with our customers to take care of exchanges, repairs, returns, etc. Before purchasing, please check into the equipment and examine the photos to ensure this is exactly what you want. If available, we supply a manufacturers description and specifications. Otherwise, only the information listed on the item itself is carried over to the description. Again, if something is not pictured, it is not included. If an item needs to be returned (for any reason), we do not refund the cost of "return" shipping and handling.